With over 90% of BtoB and BtoC companies investing in content marketing (study by CMI and MarketingProfs) it’s remarkable that 90% of companies are not confident in their ability to measure the ROI of their content marketing efforts (study by Contently). Information overload makes reaching customers with content more challenging than ever and business leaders need to know where their investments in content are paying off. Luckily, we tapped 10 content marketing experts who know all about measuring the performance and ROI of content to get their advice. Who did we get these content marketing ROI words of wisdom from? None other than Joe Pulizzi, the founder of Content Marketing Institute and the Content Marketing World conference. We also talked to Julie Fleischer from Kraft Foods, a winner of the Content Marketer of the Year award. Additionally, we talked to Michael Brenner of NewsCred, BtoB marketing legend Ardath Albee, Robert Rose from Content Marketing Institute, Nicole Smith, the managing editor of Dell’s TechPageOne, Pawan Deshponde from Curata, JoAnn Sciarrino from UNC Chapel Hill, Jay Acunzo from NextView Ventures and 2014 Content Marketing World keynote speaker, Andrew Davis. 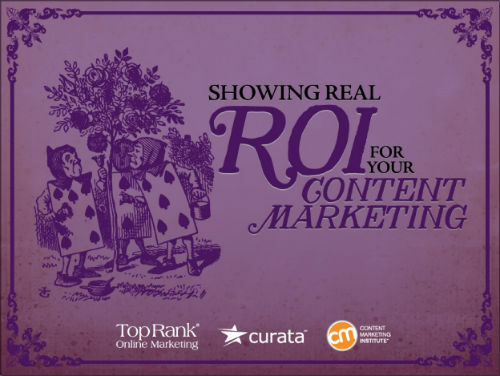 How have you tackled measuring the performance and ROI of your content marketing?